This is the simplest pattern! Learn how to turn a granny square into a pouch with this very easy tutorial courtesy of Mikaela. Kids love these little crochet pouches! A crochet pouch is such a darling idea with so many uses. You can take it with you when you are traveling, you can use it as a gift pouch for jewelry, cosmetics, ear plugs, money or handkerchief, basically any small item can be stored in this very cute and very easy crochet pouch. 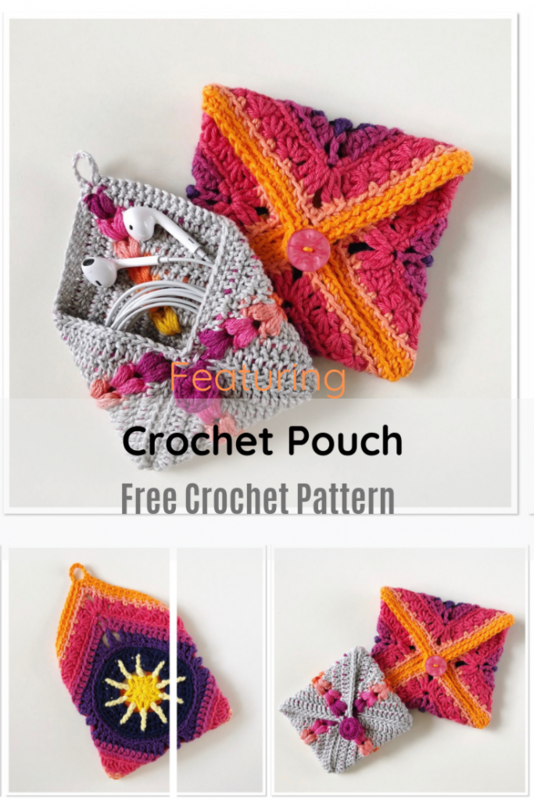 Get the pattern: Granny square into a pouch. Thanks to Mikaela. for the article inspiration and featured image.